"Jeannie Cho Lee" has rated the wine "Castello di Ama 'Castello di Ama', Chianti Classico Riserva DOCG, Italy" from the vintage 2008 on 04.07.2013 with 87 of 100 points.
" Well balanced Chianti Riserva that combines the best of the traditional flavours of Sangiovese - plenty of dark cherry flavours and hint of tobacco. The wine has a modern, lifted edge that shows greater definition of both the wine's structure and flavour. Youthful at the moment - although it is drinking well, the wine would benefit from a few more years in bottle. Tasted in: Hong Kong, China. Maturity: Drink. " "Wine Spectator" has rated the wine "Castello di Ama 'Castello di Ama', Chianti Classico Riserva DOCG, Italy" from the vintage 2014 on 15.12.2016 with 90 of 100 points. "Wine & Spirits Magazine" has rated the wine "Castello di Ama 'Castello di Ama', Chianti Classico Riserva DOCG, Italy" from the vintage 2013 on 01.04.2016 with 90 of 100 points. "Wine Enthusiast" has rated the wine "Castello di Ama 'Castello di Ama', Chianti Classico Riserva DOCG, Italy" from the vintage 2013 on 06.01.2016 with 88 of 100 points. "Wine Spectator" has rated the wine "Castello di Ama 'Castello di Ama', Chianti Classico Riserva DOCG, Italy" from the vintage 2011 on 28.02.2015 with 90 of 100 points. "Wine Spectator" has rated the wine "Castello di Ama 'Castello di Ama', Chianti Classico Riserva DOCG, Italy" from the vintage 2010 on 15.10.2014 with 90 of 100 points. 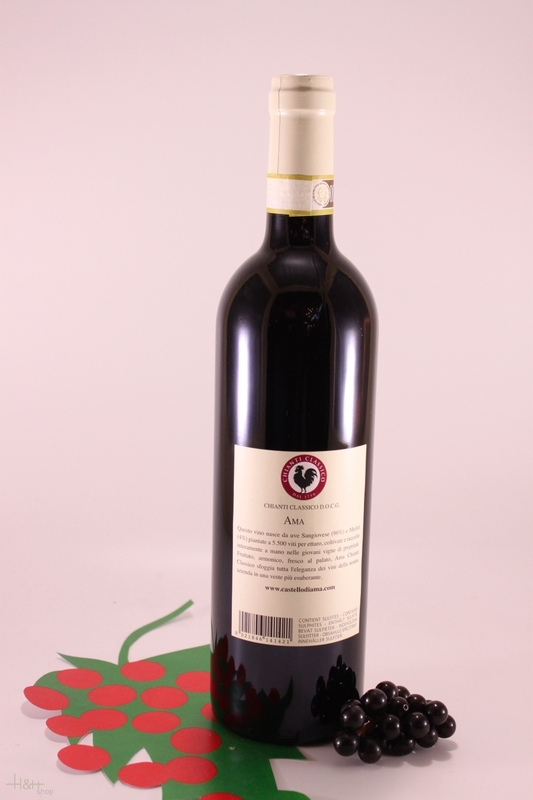 "Vinous Antonio Galloni" has rated the wine "Castello di Ama 'Castello di Ama', Chianti Classico Riserva DOCG, Italy" from the vintage 2010 on 01.09.2014 with 90 of 100 points. "Falstaff Magazin" has rated the wine "Castello di Ama 'Castello di Ama', Chianti Classico Riserva DOCG, Italy" from the vintage 2010 on 14.02.2014 with 92 of 100 points. 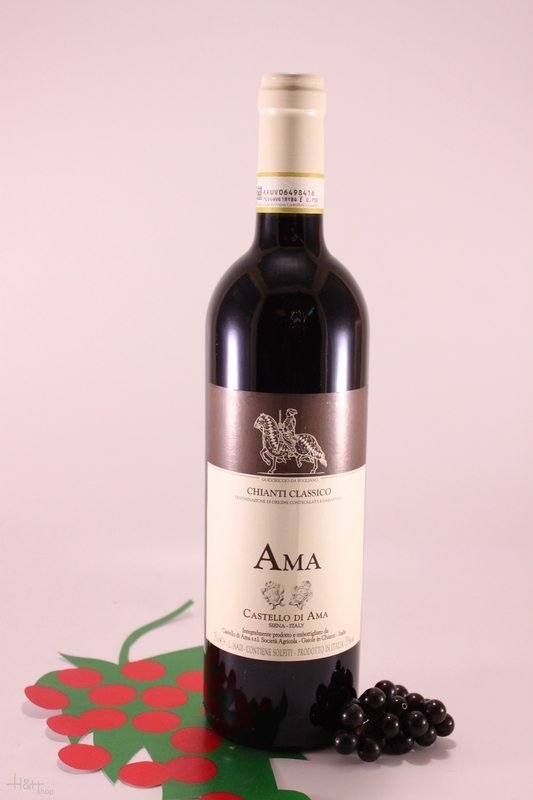 "Wine Enthusiast" has rated the wine "Castello di Ama 'Castello di Ama', Chianti Classico Riserva DOCG, Italy" from the vintage 2009 on 04.01.2014 with 93 of 100 points. "Wine Spectator" has rated the wine "Castello di Ama 'Castello di Ama', Chianti Classico Riserva DOCG, Italy" from the vintage 2009 on 31.08.2013 with 90 of 100 points. "Vinous Antonio Galloni" has rated the wine "Castello di Ama 'Castello di Ama', Chianti Classico Riserva DOCG, Italy" from the vintage 2009 on 01.08.2013 with 91 of 100 points. "Wine Spectator" has rated the wine "Castello di Ama 'Castello di Ama', Chianti Classico Riserva DOCG, Italy" from the vintage 2008 on 31.03.2013 with 90 of 100 points. "Falstaff Magazin" has rated the wine "Castello di Ama 'Castello di Ama', Chianti Classico Riserva DOCG, Italy" from the vintage 2009 on 15.02.2013 with 92 of 100 points. It flows with the essence of sweet perfumed fruit. Red cherries, raspberries, flowers and spices are intermingled with suggestions of tobacco, licorice and earthiness that linger in the background. The wine reveals incredible length, and sweet, silky tannins that caress the palate all the way through to the close.